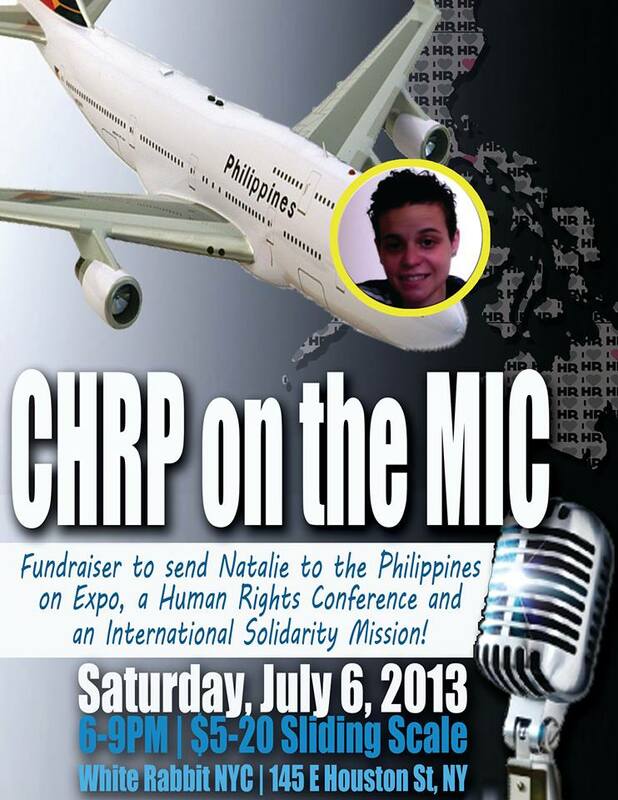 CHRP on the MIC: Fundraiser to Send NYCHRP to the Philippines! All proceeds go towards Natalie representing NYCHRP at the International Conference for Human Rights in the Philippines and on the International Solidarity Mission to the Caraga Region in Mindanao! Previous Post MON 4/29: Happy HR for Human Rights: A Mixer with Heart!